A Brilliant Genocide is an exposé of the brutal campaigns by the Yoweri Museveni regime to wipe out a significant part of Uganda’s Acholi people under the guise of crushing a rebellion by the Lord’s Resistance Army (LRA). It lays bare the atrocities committed by Museveni’s army against the Acholi people of northern Uganda since 1986, when Museveni seized power, and includes interviews with survivors of the most pre-meditated torture. What has occurred is unfathomable: civilians raped in front of their families by Museveni’s soldiers, people tortured, buried alive and burnt alive – forms of abuse previously unheard of in Uganda. It is the humiliation and deprivation of a particular ethnic group that has suffered like no other in Ugandan history. This documentary is the untold story of a people who were placed in what amounts to concentration camps, where the death rates from planned neglect exceeded 50,000 people per year over a period spanning more than a decade, according to the World Health Organization (WHO). A Brilliant Genocide is a counterpoint to Kony 2012, which brought worldwide attention to the crimes committed by the LRA. It shows how the Museveni regime has used Kony as a straw man, enabling the Ugandan government to garner international sympathy and resources in the supposed ‘war on terrorism’ while in fact diverting attention from its own crimes against humanity in northern Uganda. It includes interviews with Museveni’s former close associates, involved in conducting some of the bloodiest campaigns in the north, and many other prominent Ugandan thinkers, opposition figures, activists, exiles and émigrés. This is the untold story of how an African dictator has been able to commit mass murder and still get a regular audience at the White House and 10 Downing Street. 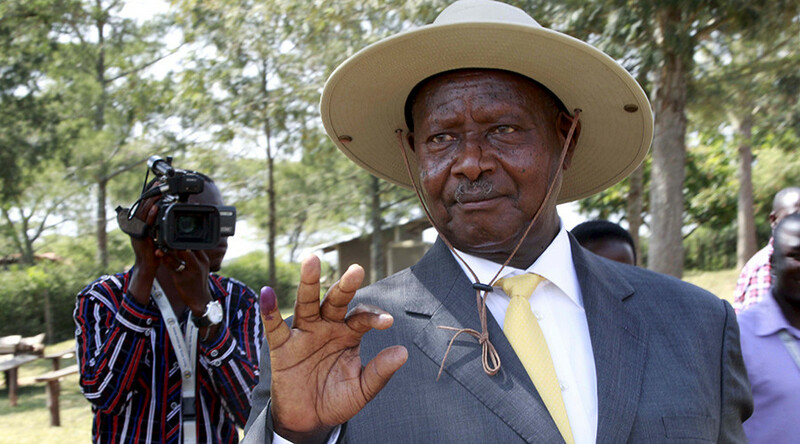 It comes at a critical time in Uganda’s history, with Gen. Museveni re-elected after 30 years of rule, in what many critics around the world are calling a sham election.